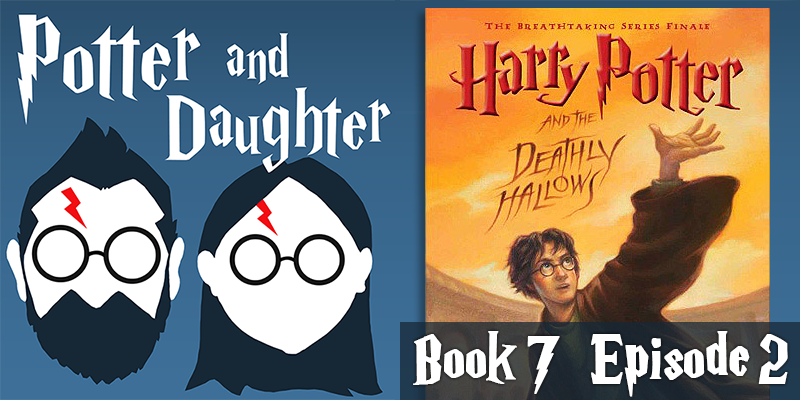 In episode twenty-nine of Potter And Daughter Joel and Lily pick up their discussion of Harry Potter And The Deathly Hallows with chapters 9-13. Harry, Ron and Hermione are on the run from the Death Eaters and need to find a safe place to hide. Kreacher sheds some light on the origination and possible whereabouts of the locket Horcrux, and the three friends plan a daring heist to retrieve it. Infiltrating the Ministry proves fairly simple, until ABSOLUTELY EVERYTHING goes incredibly wrong. Changes in the Ministry are evident and Muggle-born wizards find themselves on trial with Delores Umbridge the judge, jury and potential executioner.